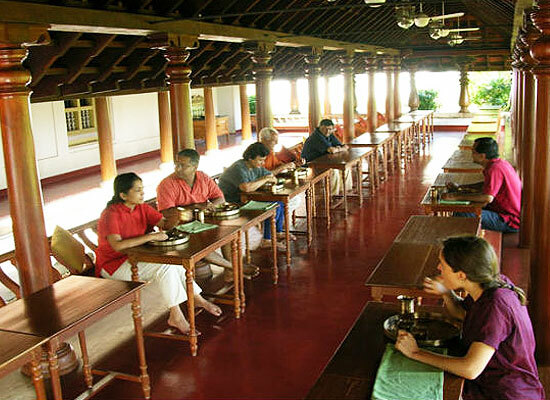 "Kalari Kovilakom is one of the finest Ayurvedic retreats in the state of Kerala. Tourists come from far and wide to experience the effects of science of Ayurveda, while enjoying their stay in a palace. The hotel staff aims to provide a new start to one�s life with the introduction of Ayurveda in this heritage resort. Living, in a palatial building, while enjoying the austerity of an Ashram, the guests in here are often fascinated with 21st century luxury they receive here along with the romantic grandeur of 19th century. Kalari Kovilakom, earlier referred as The Palace for Ayurveda was constructed in the late 19th century. During the time, the quaint little town of Kollengode, situated amidst foothills of Annamalai, was ruled over by a tyrant Raja. He had a bad temper and was very arrogant. He interfered in every small matter of the farmers and made their life miserable. The palace of Ayurveda was constructed by 20-year old Dhatri, who was the niece of the tyrant king, so that she could protect herself and the villagers from her uncle's tyranny. In the deep secluded and tranquil site, the royal family lived far away from the rule kings. 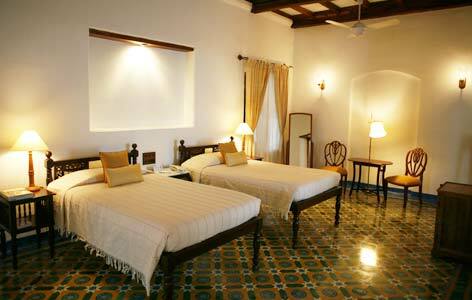 Old Guest Wing: These rooms are designed according to the traditional 20th century colonial Western style of architecture. 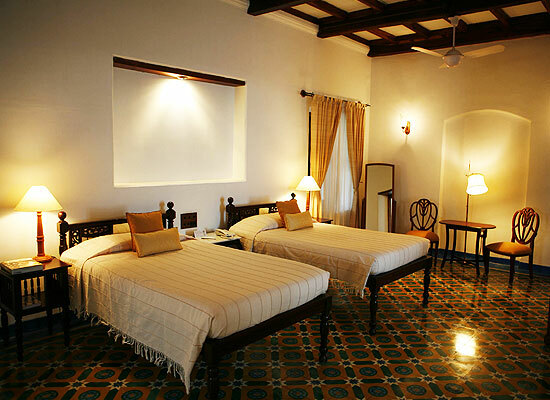 Palace Wing: These rooms are constructed on the lines of ancient architectural patterns of Kerala which reminds one of traditional 'zenana'. The guests are served food that is cooked along the lines of Ayurveda. The medical science of Ayurveda prescribes that one should eat such diet that would cure him/her of ailments/illness. Therefore, over here, everyone is given food as per the results of one’s treatments, therapies and constitution. The food is cooked in an authentic Ayurvedic kitchen where specially designed iron, clay and brass pots are used during cooking. Eating/cooking non-vegetarian food is strictly banned here. Also, the consumption of alcohol is not allowed. The backwater city of Palakkad, situated in the Indian state of Kerala, is known for its exotic lush green surroundings, rich heritage and gorgeous views. Tourists come here to enjoy the sights of early morning mist-covered cardamom hills. The tranquil sea and lakes in and around Palakkad offers amazing picninc destinations for tourists. Witnessing folk dance and folk music performances here is a soothing experience. The wildlife followers come here to enjoy an excursion to Prambikkulam Wildlife Sanctuary.